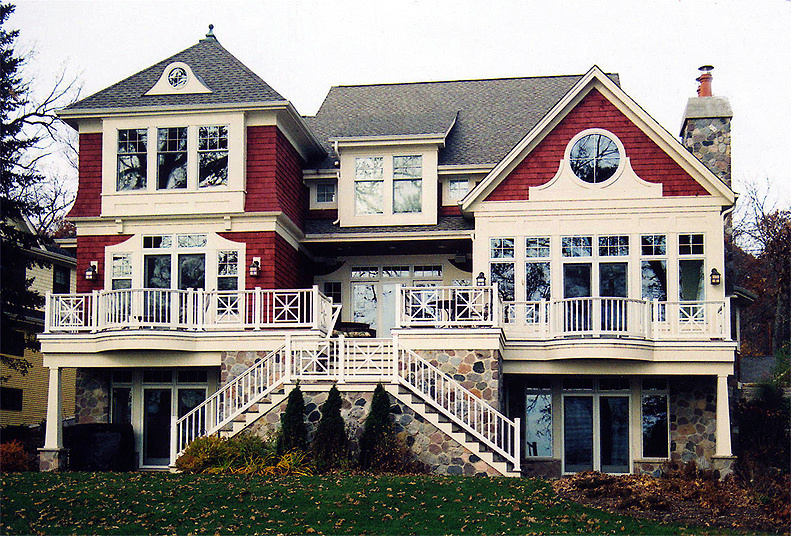 Pewaukee Lake Project - Architectural Development Services, Inc. Located on the shoreline of Pewaukee Lake, this home combines the architectural styles of Cottage, Shingle, and Contemporary into an eclectic yet elegant gem. 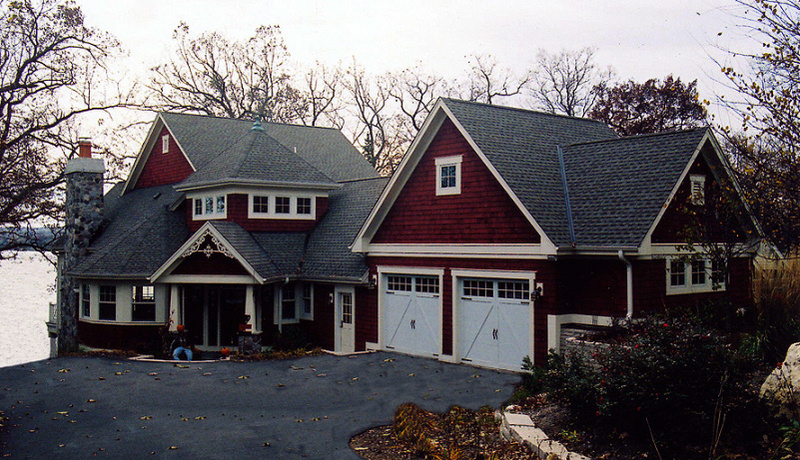 The bold red, contrasting white, and interesting use of architectural detailing makes it stand apart from the surrounding residences. 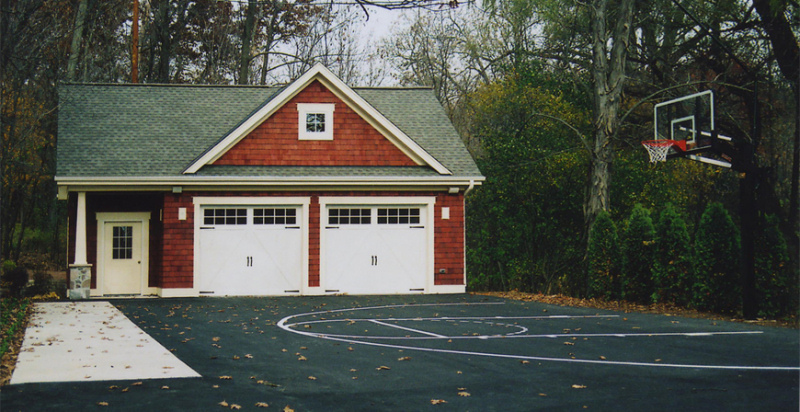 This project also has a detached garage that incorporated the same detailing features.